It’s hard to believe that the end of our year is almost here. 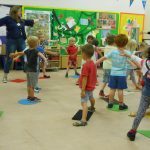 The rainbows are excitedly preparing for their new school adventures, with school visits and play sessions, and our Sunshine’s have been preparing for their move up to Rainbows – or move to other settings. 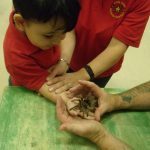 We have had lots of fun these last few weeks, especially with our Wildside encounters, the children and staff held a snake, tropical frog, tarantula, gecko, millipede and cockroach (big ladybird)!!! 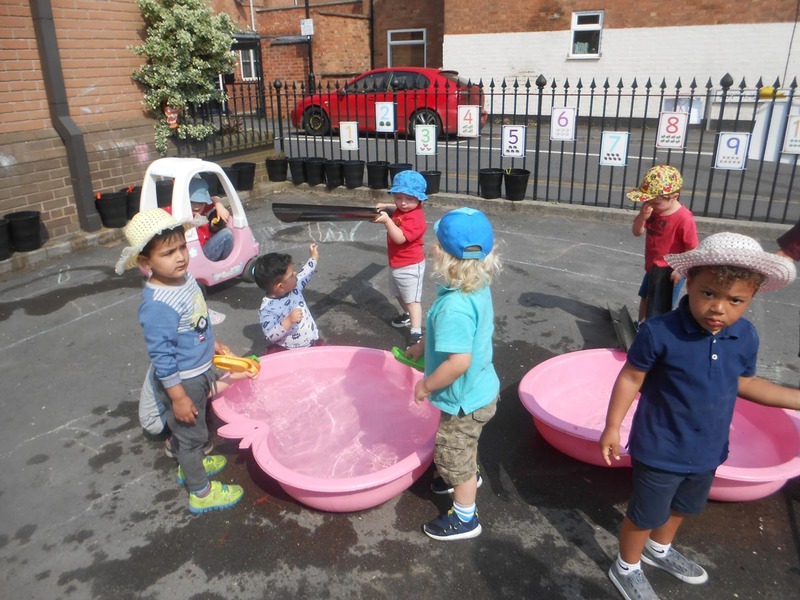 The children are currently really enjoying our “beach” – playing with sand, water and pirates and superhero play too. 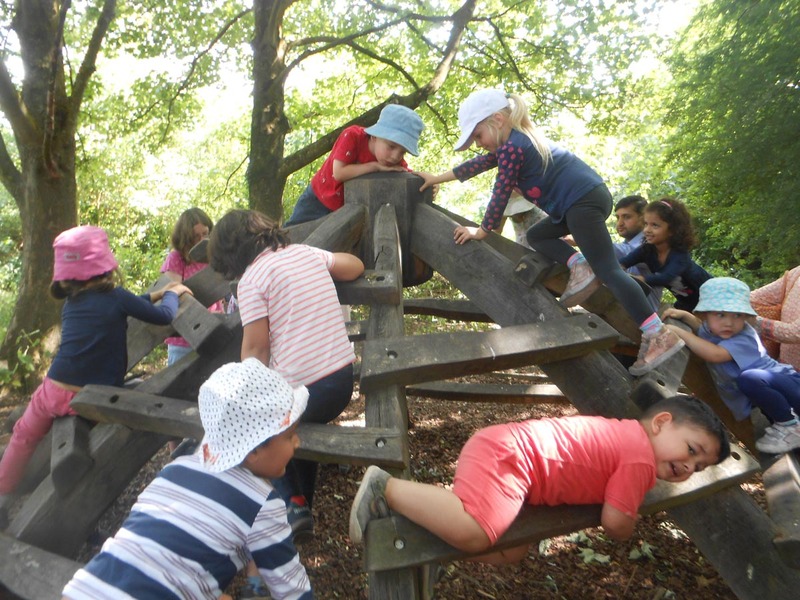 The Foundry Wood trip was a fantastic, very hot day, we all had such fun making our stick superheroes and dens – and lots of fun was had in the woods playing in the different areas. It was lovely to picnic in the shade of the trees together. 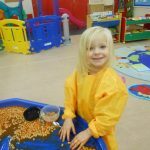 Monday and Tuesday – are fairly normal days; we are continuing with our beach, seaside, pirate and superhero play theme and playing with toys and activities that the children choose. 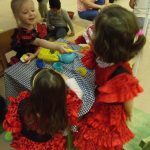 Wednesday 18th July – Party for every child, if your child does not normally attend on a Wednesday they can join us but will need an adult with them as we still have to keep our staff: child ratios. We will enjoy a party lunch together and finish at 1.15pm. Children do not need to bring their own lunchbox, please sign up on the shared party food list. 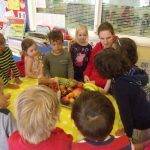 Children with a special diet – please bring a plate of food or come and check the party food ingredients. This will be the last day of term for Sunshine’s who are returning as Rainbows next year. 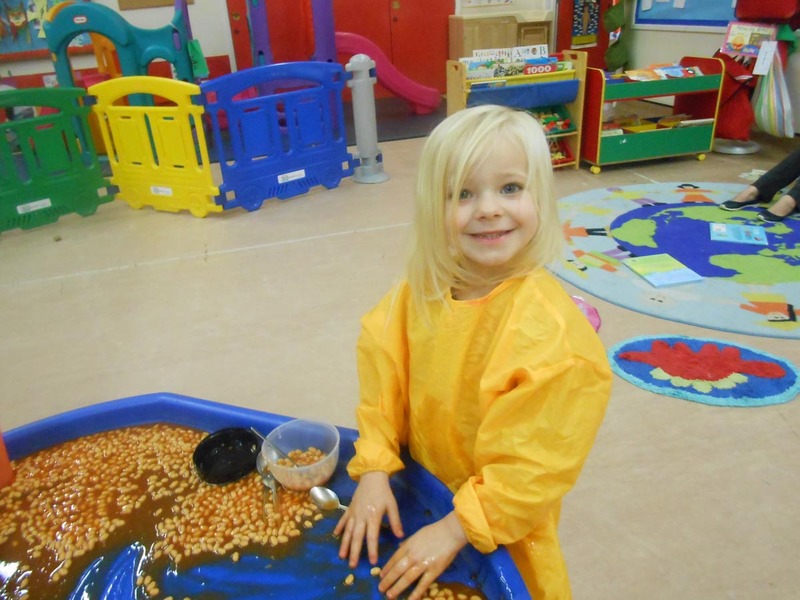 9.15am – Normal drop off – all leaving childrencome to play even those who do not normally come on Thursdays. 11.30am – A few party games and a play. 12.00 pm – Coffee and cakes in hall together, party food and snacks for children. 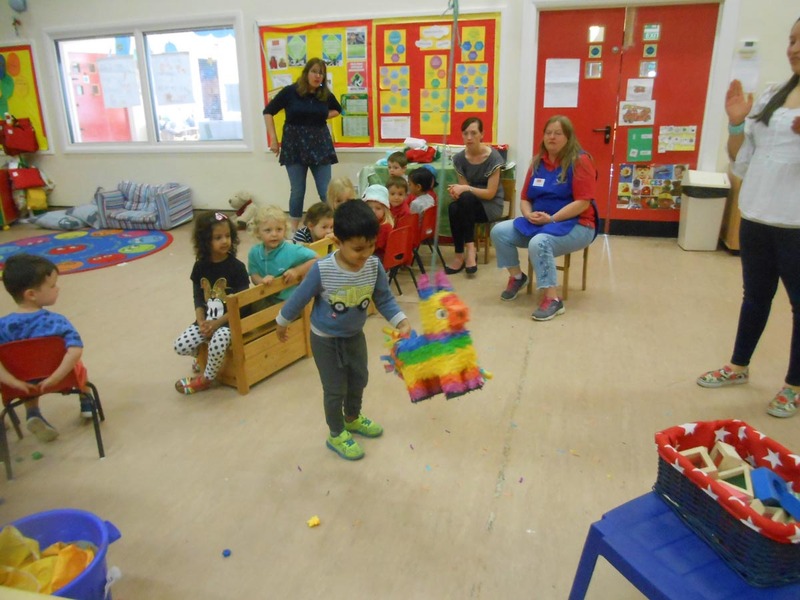 Cleaning toys: Thank you to the families who have taken some toys home to clean or offered to come and help clean – it’s a huge task to clean every item before we pack away for the Summer – every offer is appreciated. Next terms dates will follow soon, we open again on Wednesday 5thSeptember. To our families who are leaving us, please remember you are always welcome to come to our social and fund raising events – wreath evening, quiz night, fair etc. Summer Holiday Fun list with ideas of things to do in the holidays. We also have on the wall a list of other activities available locally. Evaluations and Parent Reviews. 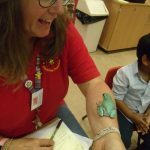 It has been really lovely to share your children’s progress with you at the parent reviews and we really appreciate your comments and feedback. We will be circulating an evaluation form for the year and would welcome their return before the end of the term, it’s really helpful to get your ideas so that we can plan for the future, improve and meet your needs. Fund Raising Thank you for your support – from small coffee mornings and online shopping to the large events and marshalling at the regency run – we have raised so far almost £2,661. All of this supports Little Stars to provide the extra activities and equipment for the children. We are looking forward to updating our IT equipment for the children. Fantastic. 30 hour Entitlement Please return your eligibility code as soon as possible (before the end of term), we need to input it to the Council during August for you to receive your free entitlement in September. Even if you are only doing 16, 20 or 25 hours you may get this free, if you miss the deadline you will have to pay for those hours and claim in January instead. 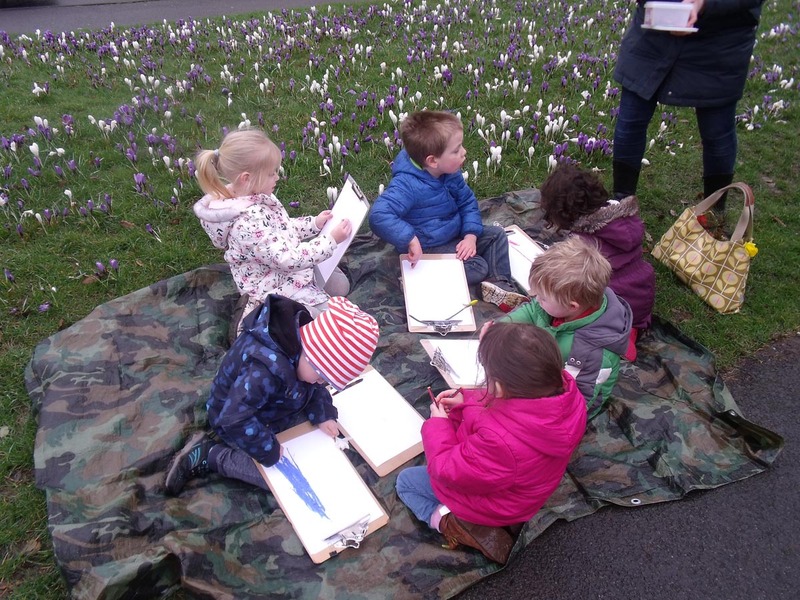 We have a few places available for the next academic year in the Sunshine’s at the moment- please tell your friends about Little Stars we would hate them to be disappointed if they leave it too late. Can you display a poster for us somewhere, please take one from the foyer. The Church Holiday Club is open for Rainbows and older children for three mornings at the end of the holidays. Please sign up your child to join the fun on 30th, 31stAugust and 1stSeptember. 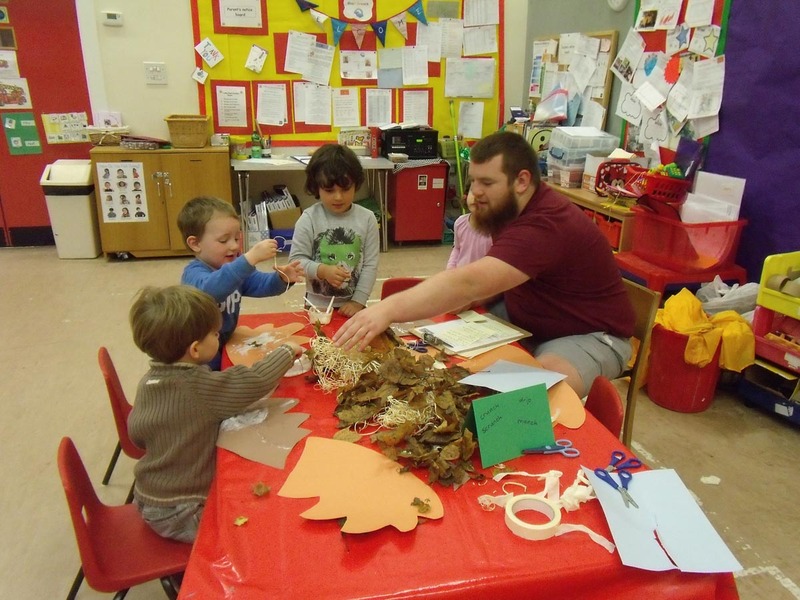 The Boys & Girls brigades are open for children aged 5 years and over, meeting at Church every term time Friday 6 – 7.30, contact Emma Archer at emma@sa-associates.co.uk . Lots of fun activities, craft, games, Christian stories. Please put your child’s name on the waiting list for when they are 5. 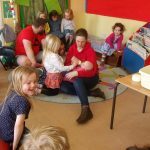 What a busy term, with parent reviews, family fun day, school visits, stay and play, trips out – but most importantly learning, caring and playing together with your lovely children. I would like to say a huge thank you to the staff, trustees and volunteers, they are a wonderful team – whose love and care for your Little Stars and your families shines through every day – making our Preschool a loving, Christian, warm environment. I wish them all a lovely rest during the summer.